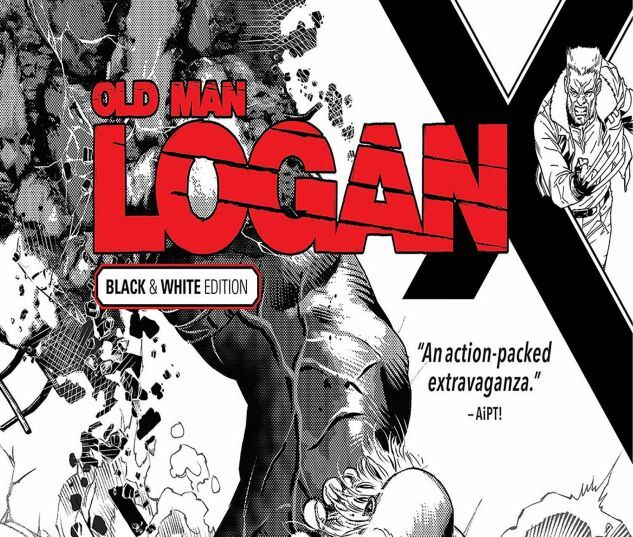 Collects Old Man Logan #25-30 Black and White. 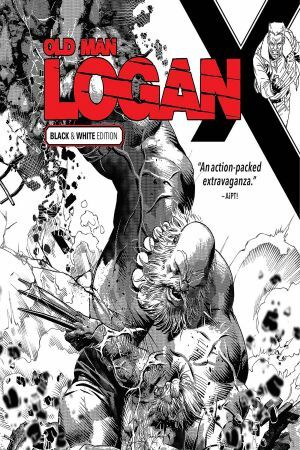 Featuring Mike Deodato Jr.’s savage artwork in glorious black and white! Old Man Logan is confronted by an enemy from his past! And since his past is a dystopian future, you know this won’t be good — but it can’t get any worse than the Maestro! Determined not to let history repeat itself at the hands of the Hulk’s nightmarish future self, Logan takes matters into his own hands and hunts down the Hulk Gang! But they’re not the only familiar faces around: The man who was Wolverine will need an old friend’s help if he wants to stay on his enemies’ trail. And with Maestro applying his cunning intellect to the next devastating step of his plan, brute force isn’t the only weapon Logan has to worry about. Things are about to get angry!